Denmark generated 74% of its energy from renewable sources in 2017, making it a world leader in renewable power. But it’s not the country’s major energy providers that are driving this move away from fossil fuels. Rather, it is an increase in so-called “energy citizens” - people that are decentralising the energy mix and installing smaller, renewable power projects. This is encouraged by government policies such as granting permits to wind projects only if the developers are at least 20 percent owned by local communities. It’s not just Denmark - across much of Europe energy citizens are playing an ever-more important role. In Germany, 42% of the renewable energy installed in 2017 was thanks to citizens and energy cooperatives. If it were counted as a company, citizen solar energy in Germany alone would now rank within Europe’s top 15 largest energy retailers, producing 79 terawatt hours of electricity. 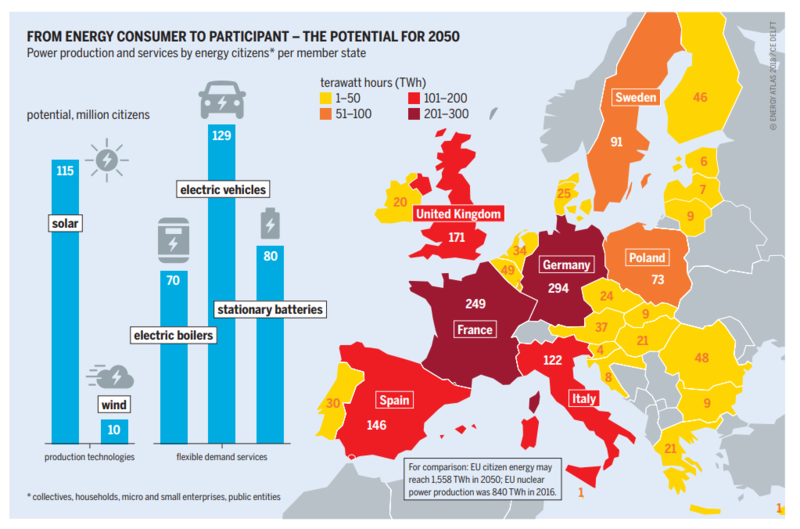 A report by the European Renewable Energies Federation and various partner organizations, predicts that by 2050, energy citizens in Europe could produce twice as much power as nuclear power stations produce now. The report finds that the technology, from modern storage to demand response technologies including grid-scale battery systems and electric heat boilers, now exists to make a 100% renewable energy system viable - with the biggest potential found in increasing energy efficiency. 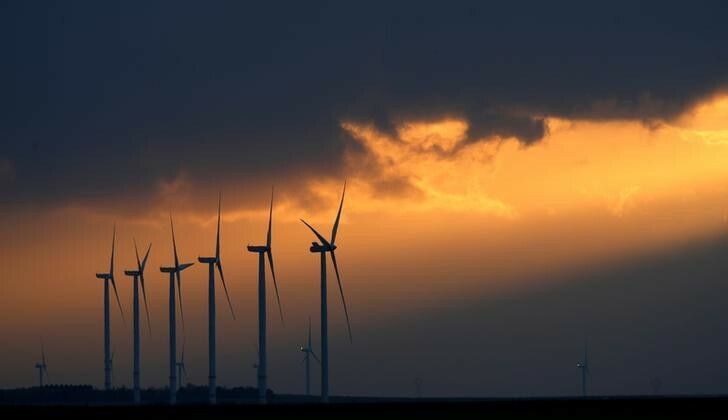 Continent-wide interconnectivity would also help make this energy transition a reality, with the report arguing that this transition is also a chance for Europe to become a renewables world leader. These projects could create millions of job throughout Europe, including over 1.5 million in Germany and more than 900,000 in Italy. 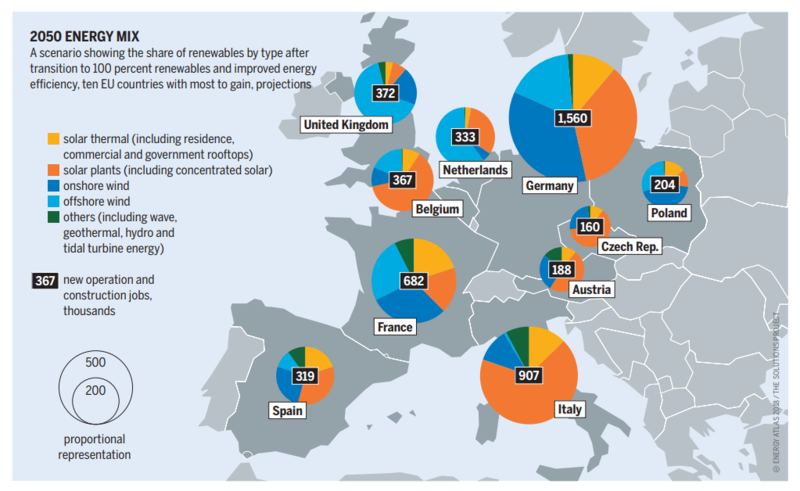 It’s not just humans that could transform Europe into a 100% renewable continent. A report by PwC, called ‘Harnessing Artificial Intelligence for the Earth’, looks at the potential AI has to transform the ways in which climate change is tackled. In clean energy, machine learning is being used to match energy generation and demand in real-time, realising more fully the potential of “smart grids”, decreasing unpredictability, and increasing efficiency, power balancing, use, and storage of renewable energy, the report says. For example, Norwegian power firm Agder Energie is also using AI and the Cloud to predict and prepare for evolving energy needs in the country. A range of startups, including Power Ledger and WePower, are also offering blockchain-based solutions designed to enable peer-to-peer trading of renewable energy. This technology enables individual energy owners, such as residential solar customers, to not only sell surplus power to energy companies, but to their neighbours as well. However, to ensure the implementation of this type of technology becomes a reality, policy needs to evolve. Existing electricity grids are expensive to build and maintain. This cost – the ‘network charge’ – is divided up and added to everyone’s electricity bill. Therefore, if a large number of consumers decide to go “off-grid” and create individual networks, those who are left on the grid - typically because they cannot afford the upfront cost of solar panels and battery storage - are charged more to keep the grid operating. But as the costs come down and technology becomes cheaper to install, off-grid energy is likely to become the new normal - even in developing countries where policy-makers are often loath to change energy system because power cuts can infuriate voters. 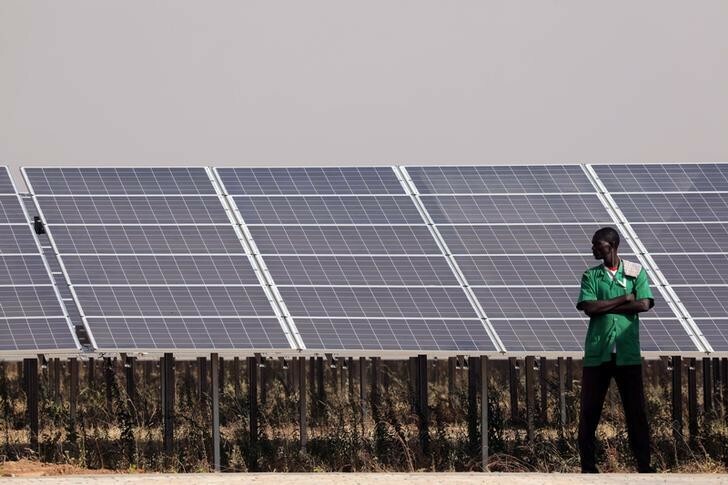 Over the next four years, off-grid energy projects in Asia and sub-Saharan Africa are expected to triple, reaching over 3,000 megawatts according to the International Energy Agency’s Renewables 2017 report, which says much of this growth will come from industrial applications, mini-grids, and solar home systems driven by government electrification programmes and private sector investments. Such is the growth across the Solar Home System market, the technology is forecast to bring basic electricity services to almost 70 million more people in Asia and sub Saharan Africa by 2022.